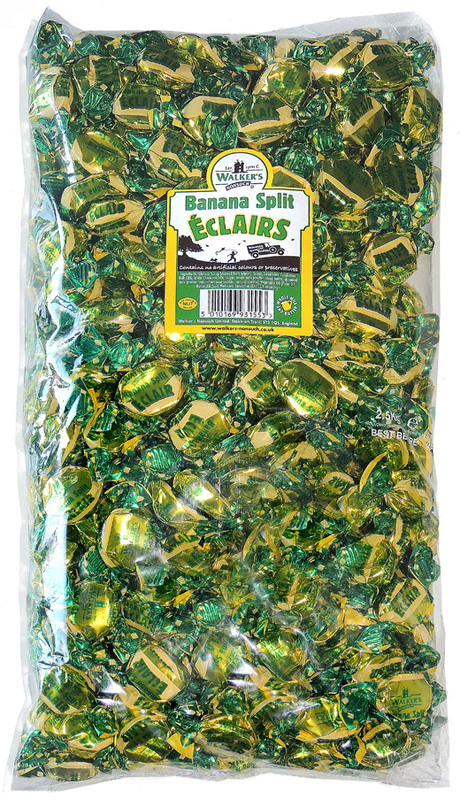 EACH BAG CONTAINS 2.5KG OF INDIVIDUALLY WRAPPED BANANA FLAVOUR TOFFEE WITH A CHOCLATE CENTRE. 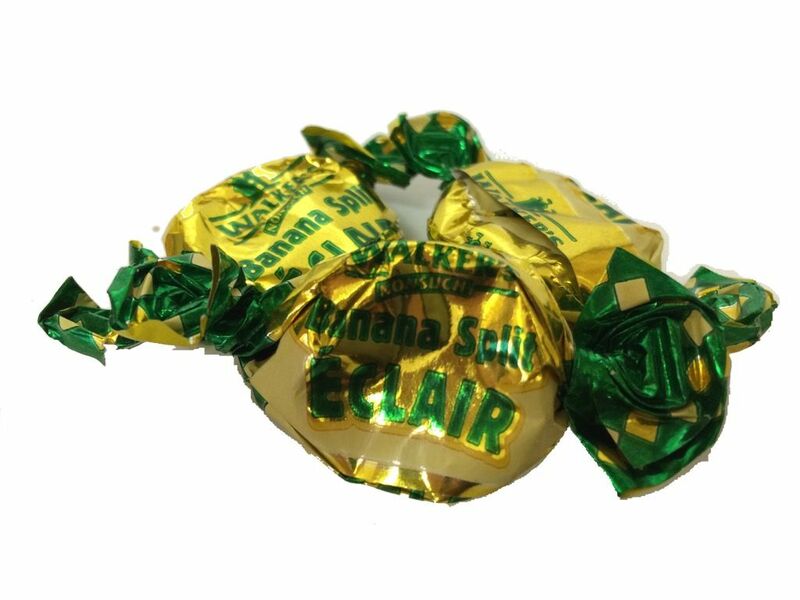 INGREDIENTS: GLUCOSE SYRUP(derived from wheat), SUGER, SWEETENED CONDENSED MILK 18%, WHITE CHOCOLATE 16%,(sugar, whole milk powder, cocoa butter, skimmed milk powder,) EMULSIFIER(soya lecithin), NATURAL VANILLA, VEGETABLE OIL(palm oil), BUTTER 3%,SALT, MOLASSES, EMULSIFIER(E147), FLAVOURINGS. MAY CONTAIN TRACES 0F NUTS.